The In-gage artificial intelligence component – known as ‘Ivie’ – automatically categorises all new cases, gives sentiment and emotion scores to all emails and chats as well as automatically categorises incoming Customer Feedback. 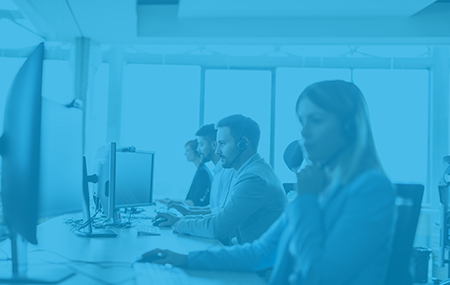 This all means your agents can focus purely on customer service, while Ivie takes care of the categorising, prioritisation and case admin in the background. The In-gage A.I. learns the cases categories assigned by human agents for all customer emails and learns the text used in the requests by customers. Ivie will then automatically assign the type of case when it is opened by the customer, allowing for efficient routing of cases inside your organisation. When it comes to sentiment and emotion scoring, the artificial intelligence reads all the email communications to and from the customer. Each sentence is scanned and scored for the prevailing sentiment and emotion used, then the results are rolled up so you can see the overall sentiment and emotions for each case, customer and agent. Once a case is closed, Quality forms are automatically created for each agent involved and scored based on the communications sent. Then for the automatic Customer Feedback categorisation, the A.I. reads the feedback comments from each survey, combining the analysis with the case type and NPS score. Ivie will then automatically assign the reason category immediately, allowing the feedback to be sent to any relevant departments or individuals. Agents and Managers see the top themes on their employee page to help guide areas they can improve on. to change the world one team at a time. Not quite ready to chat? We regularly host webinars on A.I. in Contact Centres – check out the next date below. In our A.I. 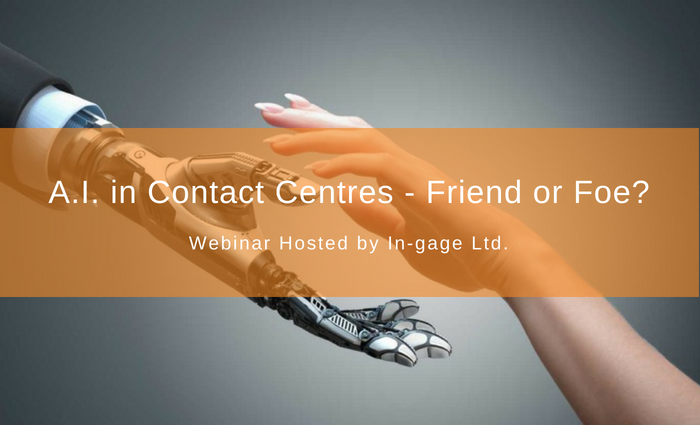 in Contact Centres webinar, we will look at how you can use A.I. technology to work with your current centre setup – from the super high tech to the everyday. We’ll focus on machine learning and natural language processing as ways to improve your customer experience and assist existing staff. We’ll also cover tips and best practices on how you could integrate A.I. technology into your business. This webinar will last about 25 minutes and you’ll take away at least 4 actions you can use to within your business.